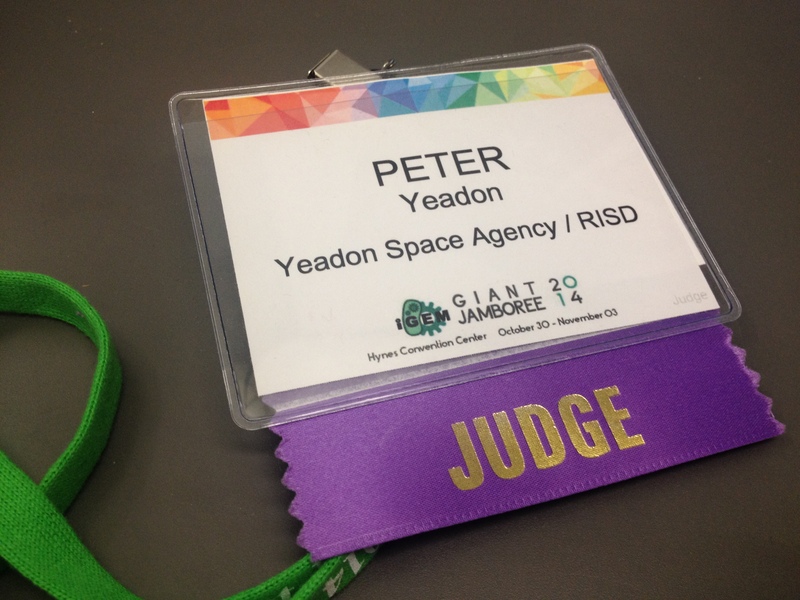 The International Genetically Engineered Machine (iGEM) Foundation has asked Peter Yeadon (Professor, Interior Architecture) to return as a Judge at their annual international synthetic biology competition. iGEM spun out of MIT in 2012 and became an independent nonprofit organization that fosters scientific research and education through organizing and operating the annual iGEM Competition, the world’s premier academic synthetic biology event. Yeadon was invited to be a juror because he is one of the first designers to investigate using genetically engineered biosensors, a product of synthetic biology, that can to warn of toxins in our environment. His work in this area has since been reference by NASA and the National Academies of Sciences’ Institute of Medicine Forum on Microbial Threats, and is now largely supported by DTRA and Yeadon Space Agency in New York City.